Join Chili’s Email Club to be the first to know about special deals, discounts and offers! 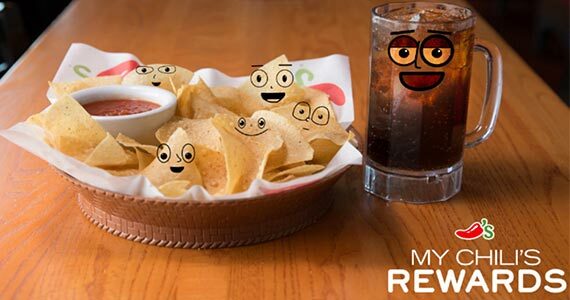 Plus when you sign up, you’ll get FREE chips and salsa or non-alcoholic beverage on your next visit. Personalized Rewards just for you – free kids meals, appetizers, desserts and more! Click through and sign up today!